Today I will tell about Olympiad Examination meaning, schedule, important books, exam pattern, syllabus, about SOF, different Olympiad exams, important websites etc. I will also tell you what is NSO, NCO, IMO, IEO, ICSO and ISKO. So if you want to know about Olympiad Exams of India in depth, here is an opportunity. Please go through the article and in case you will find anything missing, do ask by posting your query and I will respond. In one of my earlier articles I have explained you about the NSTSE Exam. NSTSE Exam is also one of the very important school level examinations along with the Olympiad Examination. I have also written a post on NTSE Exam which you can visit by clicking the respective link. Since this is a long article hence first of all I would like to tell you about the structure of this article. This will help you to scroll to desired information. I have kept the article in a question answer format so that it can be straightforward and more informative. The structure of the article is going to be like this. Which body conducts Olympiad Exams in India? Who can participate in Olympiad Examination? Which are the various Olympiad Examination? What is NCO and what is the Exam Pattern? Tell me about NSO and what is the Exam Pattern? What is IMO and what is the Exam Pattern? Tell About IEO and what is the Exam Pattern? What is ICSO and what is the Exam Pattern? Tell about ISKO and what is the Exam Pattern? What is the fees and Schedule of Olympiad Examination? What is the Syllabus of Each Olympiad Exam? Which are the best books for Olympiad Examination? Which are the best websites one should refer for Olympiad Examination? How Olympiad Examination is useful for students? 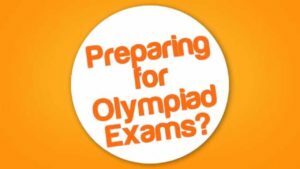 What is Olympiad Examination? First let me clarify you about Olympiad Examinations. Olympiad examinations are school level exams. The objective of these exams is to develop the child for preparation of future challenges and competition. As you know that the competition is increasing day by day. Olympiad Examinations prepare kids to be ready for any future challenges of tougher exams. By participating in these exams a child get exposed to various subjects, which are very much related to his or her school syllabus. But the method of asking questions is such that the child requires thorough study of his or her syllabus. At the same time the questions are asked in different pattern and in a time bound manner. This helps the child right from the very beginning to understand how the competitive exams are being given. It prepares them to face tough engineering, medical and other examinations after 12th. In the coming paras I will tell you in detail about each Olympiad Examination in details. This will help you to understand how useful it is. As I told you that the syllabus of the Olympiad Examination is based on the school syllabus only. However there are various specific books which a child should also refer. Which body conducts Olympiad Exams in India? The Olympiad exams are conducted by various independent organizations in India. 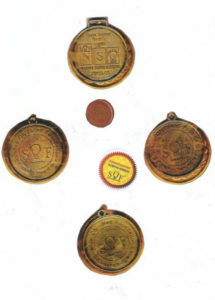 However there is only one official and recognized body which is SOF. It is better to participate in the Olympiad exams conducted by SOF. However it will depend upon your school also. All good schools normally tie up with SOF only as the Olympiad Examination of SOF are considered best. What is SOF? Now the question may be coming in your mind is what SOF is? The full form of SOF is Science Olympiad Foundation. It is a nonprofit organization. The objective of this organization is to promote and popularize subjects such as Computer, Science, Mathematics, English, Sports Knowledge and Company Secretaries among kids. Identify and nurture future scientists, technologists, IT and other professional talent at school level. Infuse a healthy competitive spirit through reward based Olympiads Examination. Bring about a transformation in the classroom approach to science, IT and other subjects to make it more interactive, practical and innovative. Disseminate knowledge and information on the latest developments in science and technology. Now you must have got the idea why I am insisting on that a kid should participate in SOF Olympiad. Who can participate in Olympiad Examination? Students from class 1 to Class 12 can participate in different Olympiad Examinations. When I will explain about each Olympiad Examination in the subsequent part of this article I will explain about the eligibility of each of the Olympiad Examination. To participate in these exams the child need to apply through the schools only. If school is not participating in it then your child will not be able to participate. So you can enquire in your school about the registration for Olympiad Examination. Which are the various Olympiad Examinations? 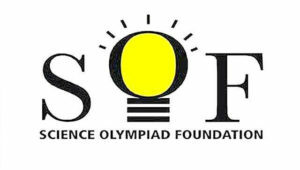 SOF organizes four Olympiads annually. The name of the four Olympiad Examination is National Cyber Olympiad (NCO), the National Science Olympiad (NSO), the International Mathematics Olympiad (IMO) and the International English Olympiad (IEO). The participants need to register through their schools and individual registrations are not allowed. SOF has of late has also started two more Olympiad which are ICSO and ISKO. The ICSO is International Company Secretaries Olympiad and ISKO is International Sports Knowledge Olympiad. While the former has been launched in partnership with The Institute of Company Secretaries of India, the later is conducted by SOF in association with Star Sports. Till now you have got an idea about Olympiad Examination, about SOF, how one can participate in it and also about various Olympiad Examination. Now I will tell you about each of the Olympiad Examination in details. This will help you to understand that which exam or exams are suitable for your child. What is NCO and what is the Exam Pattern? The National Cyber Olympiad is for students of classes 2 to 12. The exam of the National Cyber Olympiad is conducted in two levels. Level 1: The first level of the test is organized in the respective schools of the participants itself. The exam is conducted during school hours only. Level 2: The Level 2 is conducted for students of class 3 to class 12. The Class 2 students do not require to go through level 2. Top 5% of the students (Class wise) qualify for the Level 2 Examination. This exam is conducted at designated centers decided by the SOF. In Level 1 there is an objective type test of 60 minutes in which 35 multiple choice questions are asked for Class 2 to 4. For Class 5 to 12 the number of questions is 50 in similar duration. There are three sections in the question paper viz. Logical Reasoning, Computers and Information Technology and Achievers Section. The questions are mainly asked from the school syllabus only. The questions are sometimes made a little bit tricky to sharpen the skills of the child. The medium of the test is English. What is NSO and what is the Exam Pattern? The National Science Olympiad is for students of classes 1 to 12. The exam of the National Science Olympiad is conducted in two levels. Level 2: The Level 2 is conducted for students of class 3 to class 12. The Class 1 and 2 students do not require going through level 2. Top 5% of the students (Class wise) qualify for the Level 2 Examination. This exam is conducted at designated centers decided by the SOF. In Level 1 there is an objective type test of 60 minutes in which 35 multiple choice questions are asked for Class 1 to 4. For Class 5 to 12 the number of questions is 50 in similar duration. There are three sections in the question paper for Class 1 to 10 viz. Logical Reasoning, Science and Achievers Section. For Class 11 and 12 there will be 3 sections which are Physics and Chemistry, Achiever Section & Mathematics and Biology. What is IMO and what is the Exam Pattern? The exam pattern of the various Olympiad Exams is almost similar. However there are slight variations in each Olympiad Examination. Please go through the exam pattern as well as subjects carefully to understand well. The International Mathematics Olympiad is organized for students of classes 1 to 12. The exam of the International Mathematics Olympiad is also conducted in two levels. There are three sections in the question paper viz. 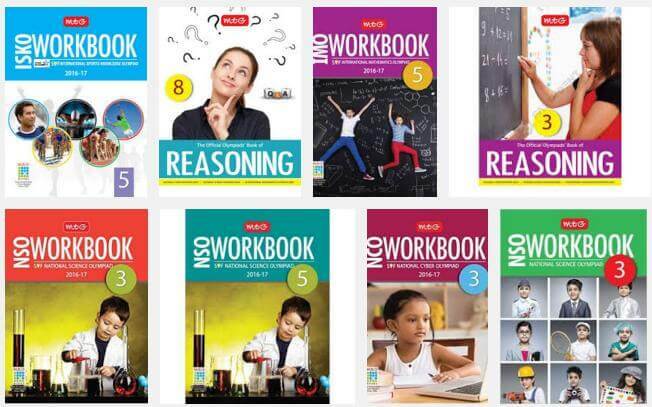 Logical Reasoning, Mathematical Reasoning, Everyday Mathematics and Achievers Section. What is IEO and what is the Exam Pattern? The exam pattern of International English Olympiad is a little bit different from rest of the above mentioned. In International English Olympiad there is a written objective type test of 60 minutes duration. For Class 1 to Class 4 the number of multiple choice questions is 35. For Class 5 to class 12 the number of multiple choice questions is 50. There are 4 sections in this exam. The sections are Word and Structure Knowledge, Reading, Spoken and Written Expression and Achievers Section. As in all Olympiad Exam the syllabus followed is that of CBSE, ICSE and State Board. The exam will be conducted during school hours only. What is ICSO and its Exam Pattern? International Company Secretaries Olympiad has been started in partnership with the Institute of Company Secretaries of India. This is an extremely good examination for those students who are looking for making career in this line. This exam helps students to develop a solid foundation at an early age. This exam is for the students of Class 11 and 12. The International Company Secretaries Olympiad is a single level exam. The exam is conducted in respective schools during school hours. There is an objective type test of 60 minutes duration. The test consists of 50 questions. What is ISKO and what is the Exam Pattern? International Sports Knowledge Olympiad is for sport loving students. This Olympiad is open for students of Class 1 to Class 10. The exam consists of an objective type test of 60 minutes. Number of questions is 35 for class 1 to 4 students and 50 for students of class 5 to 10. What is the fees and Schedule of Olympiad Examination? I am providing here a schedule of the Olympiad Examinations of 2016. However please check it from official SOF website also. NCO – 13.10.2016 and 20.10.2016. NSO – 15.11.2016 and 24.11.2016. IMO – 01.12.2016 and 12.12.2016. IEO – 19.01.2016 and 31.01.2017. ICSO – 15.09.2016 and 04.10.2016. ISKO – 15.09.2016 and 04.10.2016. The fee for participation in the Olympiad Examination is very nominal and easily affordable. What is the Syllabus of Each Olympiad Exam? Here I am providing you links for detailed syllabus of each of the Olympiad Examination. The syllabus is provided class wise here. Which are the best books for Olympiad Examination? Now I am telling you about the best books for the Olympiad Preparation. Since there are thousands of books available for the preparation of Olympiad Examination therefore be careful. However I have found books of two publications of very good quality. I am also using these books for my kids and have found them very useful. First is the books of MTG publications and the second is the books of Brain Mapping Academy. For the benefit of my visitors I am providing here a direct link for entire range of these books. You can also purchase the books directly from Amazon through the link given below. SOF recommends books of MTG Editorial Board on its website. The books of Brain Mapping Academy are equally good. You should not overburden your child by providing a heap of books. Rather provide selective books of reputed publications only along with the school books. How Olympiad Examination is useful for students? The benefits of participating in Olympiad Examination are many. So let me tell you how it is going to help your child. By participating in it the students get early exposure to learning and competition. School syllabus is concept based. Olympiad Exams are application based. It helps students to understand the concepts clearly. Participating and preparing for such exams helps in the development of analytical thinking of the student. This help them at a later stage when they prepare for tough exams such as JEE, AIPMT etc. Through regular participation every year the students become use to of facing competitive exams. This helps them when they tackle the real competitions after 12th. The article was really really very informative. to the point and very very helpful. Cleared many doubts. Thanks a lot for all references made. Now I know how to clearly and easily bring up my kids for Olympiad exams. Comprehensive information for a parent wanting a quick overview of Olympiads! Many thanks for this post.